Part of the Backyard Action Hero program, presented by Toyota Motor Manufacturing of Kentucky. All who register will be entered into a random drawing. One name will be drawn and will be the grand prize winner. A memorable behind-the-scenes tour for up to 5 persons, area to be determined by the Louisville Zoo. Total retail value of prize package is $250. Prizes are non-transferable and cannot be exchanged for cash. Only one entry for each unique email will be considered. 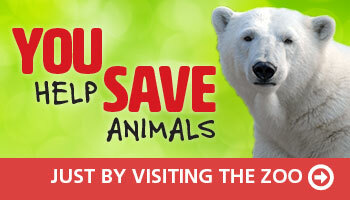 Registration can be completed online by utilizing the Louisville Zoo’s form below. To be eligible for the Grand Prize drawing, entrants must provide: full name (and parent or guardian if 17 or younger), daytime phone number and e-mail address. Entries that fail to include any of the aforementioned required information will not be considered. All entries must be received by midnight EST on Friday, 12/1/18. Process: Only one entry for each unique email will be considered. All who register will be entered into a random drawing for the grand prize. One grand prize winner will be selected. Contest entrants will not be compensated or reimbursed for their entries. Not responsible for lost, late, or misdirected entries. Grand prize is a behind-the-scenes tour for up to five (5) persons at a time and date mutually agreed upon by winner and the Zoo. Animal area to be toured is decided upon by the Louisville Zoo. Total retail value of prize package is $250. Prize is non-transferable and cannot be exchanged for cash; no substitution will be made except as provided herein at the Louisville Zoo’s sole discretion. 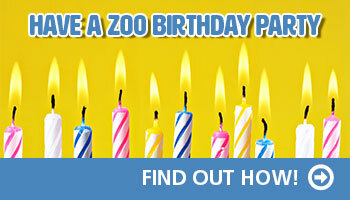 Louisville Zoo reserves the right to substitute any prize for one of equal or greater value if the designated prize should become unavailable. Winner is responsible for all taxes and fees associated with the prize receipt and/or use. Winner of the contest will be notified via telephone and e-mail no later than 12/31/18 and must execute an affidavit of eligibility and waiver of liability release within 7 days of notification or an alternate winner will be selected. The winner’s name may be posted on the Zoo’s website following verification and acceptance. Contest winner agrees that the Louisville Zoo may use the winner’s name and likeness for promotional purposes including, but not limited to, official press release announcing the names and contest winner and official announcement on Zoo’s website. Contest is open to legal residents of the United States of America. Void where prohibited, taxed or restricted by law. All federal, state and local laws and regulations apply and all taxes are the responsibility of the winner. Employees (and their immediate family members) of the Louisville Zoo and members of the Zoo Foundation Board are not eligible to win. Enter to win a behind-the-scenes tour! Complete and submit the form below. Be sure to read the official contest rules. One vote for each unique email will be considered. No purchase necessary. Return to the Backyard Action Hero Main Site.